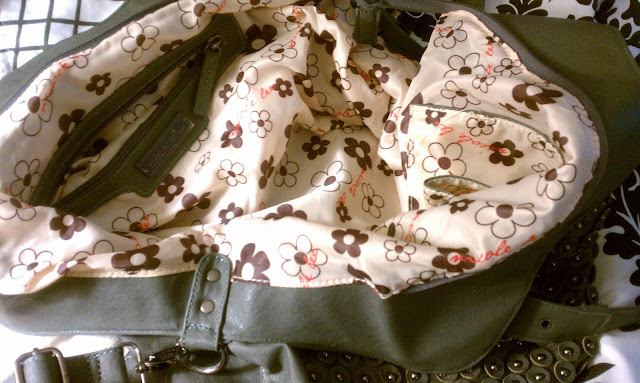 I wrote a bag of my DAYdreams post about this specific bag a while ago, I unfortunately did not return to Marshall's to get the it :(. But I am happy to report that several weeks later I did happen to stop by Marshall's and find the same bag again but just in a different color!! 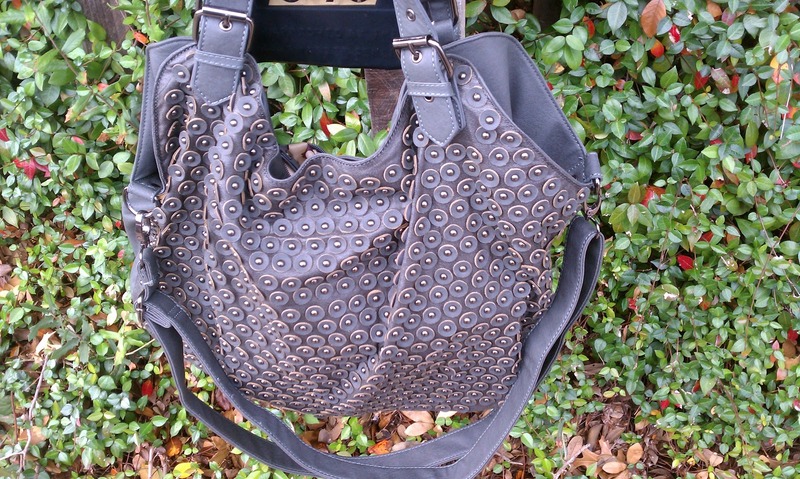 (I like the grey much better than the brown). 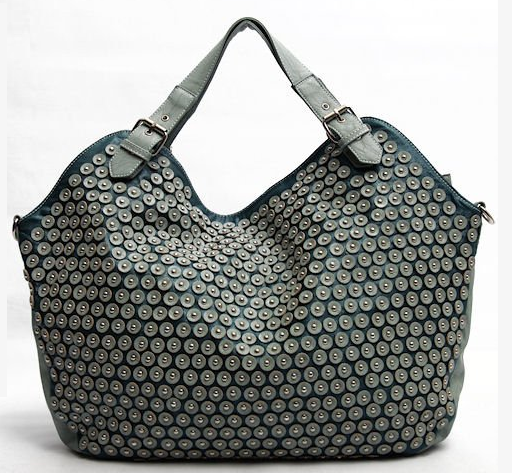 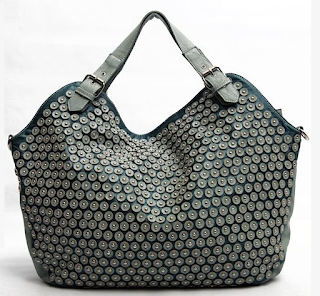 The bag features studs in round shaped petals, top zip entry, and a long detachable strap. 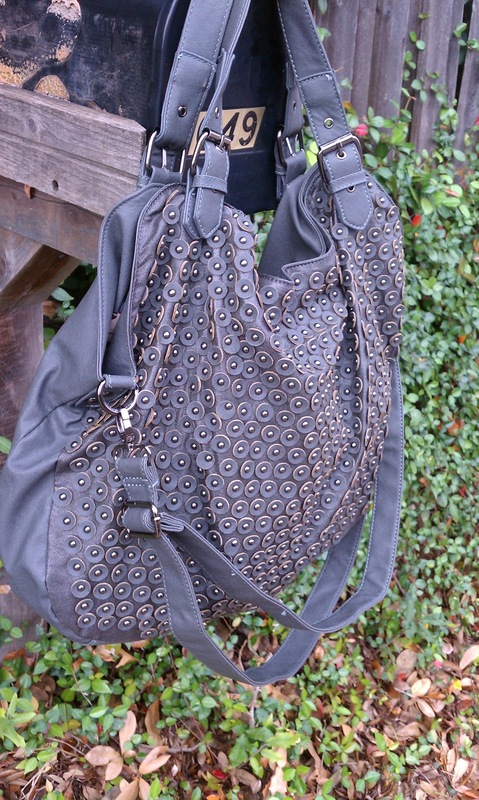 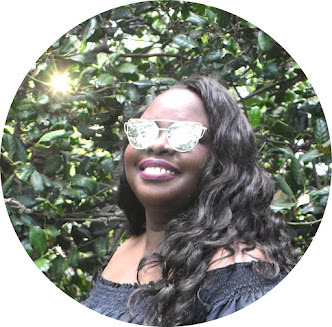 Its has a length of 17 inches and height of 14 inches providing lots and lots of room to put anything and everything (I love big bags!). 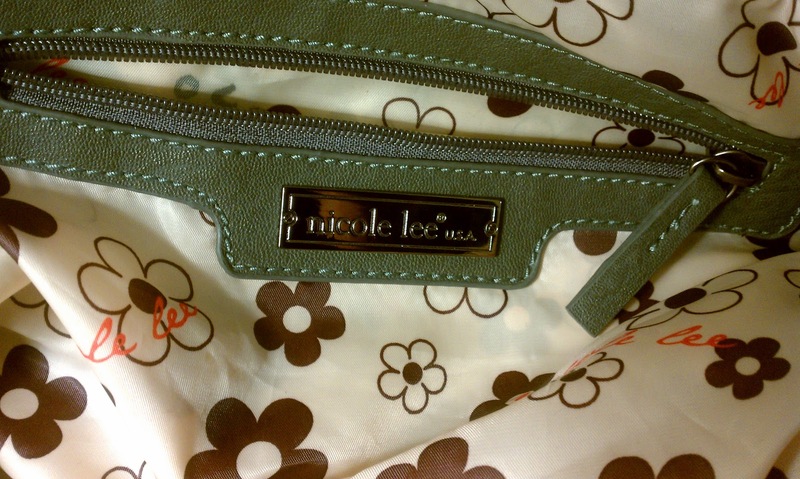 Nicole Lee makes well made quality bags I'm happy to add this special one to my collection. How much was it.. I love it!! !